Tinda or apple gourd is a small vegetable that looks like a cross between a green apple and a pumpkin. It is available year-round with peak season in the spring. Its taste, texture and seeds are like squash. Its white fleshy material is used for cooking. The recipes of apple gourd are interesting and easy to make. Before discussing them, we will talk about the health benefits of apple gourd/Tinda. Tinda has a lot of health benefits to offer. Read them below. Tinda/apple gourd has antibacterial properties. Tinda/apple gourd helps in maintaining digestive health by getting rid of gastric issues and constipation. Tinda/apple gourd Helps in weight loss as it has just 94% water. Antioxidant properties of Tinda/apple gourd help controlling blood pressure. Tinda/apple gourd leaves also help in controlling blood pressure. Tinda/apple gourd prevents cancer it protects from free radicals which causes cancer. Tinda/apple gourd makes hair healthier and shining. This is a delicious recipe and will make sure that you do not turn your face away when you see Tinda. The recipe is very easy. Read below to understand. Start the process by washing and cutting the tinda/ gourds in half and scoop out the seeds if mature. If they are very tender leave them in. Now chop the gourds (each half into halves or slice them to 3 or 4 pieces) and then cook them till tender along with the peas(3-4 cups) in the microwave. This will shorten your cooking time overall and also ensure that the vegetables keep their colour and do not turn mushy. Now heat the oil in a wok, and add the cumin seeds(1 Tsp). Stir this a couple of times and then add 4 onions and saute them till they become soft and transparent. Make sure that they do not turn brown. Now add 2 medium sized tomatoes and let them cook until they become soft and stir occasionally. After this add 1/4 Tsp turmeric, 1 Tsp chilli powder, 2 Tsp coriander and 1 Tsp cumin powder and stir fry well until the raw smell of the spices goes away. If the spices turn dry then add a couple of tbsps. of water and cook for about 2 minutes. Now add the microwaved vegetables and salt to taste and cook everything on medium heat, stirring occasionally, for another 3 to 5 minutes. Then turn down the heat to low and allow the vegetables to cook until done. Take off the heat when done and transfer to a serving bowl. Serve warm along with chappatis, parathas or rice. This tastes yummy and is very high in nutrition quotient. Read below to know the recipe. Start the process by combining 3 potatoes(cut into cubes), 3 carrots(cut into cubes), 2 pieces tinda(peeled into cubes) and 2 tomatoes. Mix all the vegetables together, adding salt to taste, a bit of turmeric, and a little water and boil until they soften. Drain excess water and set aside. Now heat 3 Tbsp of oil in a deep pan and add 1/2 Tsp of jeera. When they start crackling, add 2-3 onions and 1 Tsp of ginger garlic paste. Fry until this mixture turns brown in colour, then add a little more of turmeric, 1 Tsp red chilli powder, 1 Tbsp raisins and the boiled vegetables. Check the salt before adding more. Now add 1 Tsp of sugar, 1 Tsp of garam masala powder and 2 cups of water and cook until the vegetables are nicely mixed and the gravy becomes a little thick. 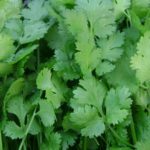 Garnish with a few chopped coriander leaves and serve. This is a vegan, healthy and North Indian style gravy dish. In a pressure cooker, heat 1tbsp oil and add 1tsp cumin seeds. Once they splutter add the finely chopped ginger garlic (2 cloves each) and 2 green chilles. Keep stiring for a couple of seconds (ensure not to burn them) and then add the onions. Saute till onions turn light brown. Now add the salt, pepper and turmeric powder. Mix and saute for another 1-2 mins. Then add the tomato puree, mix and cook till the water from tomatoes evaporates. Now add 1/2 tsp red chilli powder & 1 tbsp coriander powder. Mix and let it cook for another 1-2 mins till the masala starting leaving oil from the sides. Make sure to keep stirring intermittently. Now add the Tinday and give it a good mix. Add around 1 to 1.5 cups of water, mix, close the lid and allow 2-3 whistles of the pressure cooker. Switch off the gas and allow the steam to escape completely. Then open the lid and add water if required depending on how liquidy you want your gravy to be(I added more 2 cups) Mix well and get it to a boil. Finally add1/2 tsp garam masala,1 tbsp lemon juice and a few coriander leaves. Mix well, simmer for 2 mins and serve. Wash 250 g tinde and peel them. Cut each into 4 pieces. Wash the dal and soak in enough water for 20 minutes. Heat 2 tbsp vegetable oil in a pressure cooker. Once the oil is hot, add 1/2 tsp cumin seeds and fennel seeds and let them crackle for a few seconds. Add 1/2 cup onion and fry for 3-4 minutes. Add 2-3 green chilli and garlic and fry for another minute. Add 1/2 cup tomato and fry for 3-4 minutes. Drain the dal and add it in the pressure cooker along with 4 cups of water, tinde, 1/2 tsp turmeric powder and salt to taste and pressure cook until done. Heat 2 tbsp ghee in a pan. Once the ghee gets hot, add heeng and 1 tsp cumin seeds and let them crackle for a few seconds. Switch off the heat and add 1 tsp red chilli powder in the pan. Pour the tempering over cooked dal and mix well. Serve the dal with steamed rice or Phulke. Heat 2 tbsp oil in a kadai, add mustard seeds. Add 2 medium sized grated potato and stir well. Squeeze out excess water from 1 medium sized grated onion and add it with 1 tsp garlic paste to the kadai. Add 1.5 tsps coriander powder, 1 tsp Garlic paste, 1 tbsp – Kitchen masala and 1/2 tsp chilli powder and stir-fry. Add grated tinda and cook for 3 to 5 minutes. Finally add salt to taste and garnish with coriander leaves. Apart from using Tinda in veggie form, you can use Tinda seeds and roast them to enjoy a delicious snack. Also, Tinda juice can be used as a detoxifying drink. Tinda or AppleGourd can also be used to make body scrub at home for a glowing skin. We have a quick video here that explains how you can do it. Hope you had a good read. Do share your recipes with us as well. We would love to post them on our blogs!